CLARK COUNTY — The Clark County Council is set to debate another resolution centered around the possible replacement of the Interstate Bridge on I-5. The council joined several local cities and the Southwest Washington Regional Transportation Council recently in approving a resolution in support of a new Interstate Bridge. The county included more language about added traffic capacity in their resolution, which will be sent to Washington Governor Jay Inslee. But the resolution councilors will debate next week is aimed at the Federal government, and focuses on tolling. The resolution has no number, and is expected to be discussed at next week’s council time meeting on Wednesday, so it’s possible the council will decide not to move forward with it. If they do move ahead, the goal is to request that the Federal government provide enough funding for the bridge project that local tolling isn’t needed. “Whereas Interstate 5 is a key arterial highway serving military and national defense needs,” the resolution reads, also pointing out that the bridge would be the only spot in the 1,400 miles of I-5 with any toll, and that federal policy has previously been not to allow tolls on Interstates. 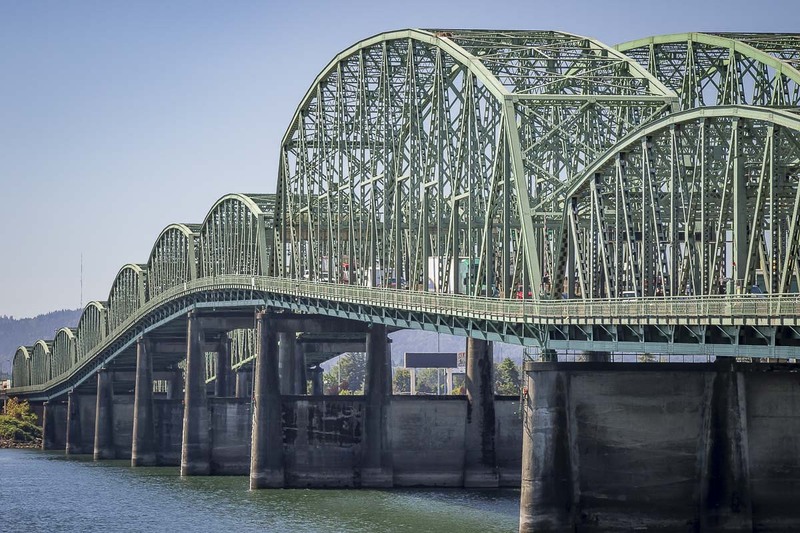 “The Clark County Council urges Congress and the President of the United States to provide federal funding in an amount sufficient to replace the Interstate 5 bridge across the Columbia River without implementing tolls,” the proposed resolution concludes. The administration of President Donald Trump has appeared more open to allowing tolls on highways that cross state lines, putting Oregon’s plan to toll parts of I-5 and I-205 in the Portland metro area on a more probably path to approval. Oregon’s Transportation Commission is currently working on a tolling proposal for the Federal Highway Administration, which is due by the end of the year.